As its name suggests, architectural accent lighting is about accenting a particular area or object within a nighttime space. Since our eyes tend to focus on the brightest area in the field of view, we can use light to showcase certain things in a space. The first step of accent lighting is to decide how you want a given space to look. What do you want people to see? Deciding where you want the focus is the first step to building a nighttime visual work of art. The next step is to decide how to light it. Whatever method is used, the lighting must deliver enough punch to create a contrast between the object and its surrounding. Determining the right balance of light to attract interest but not too much to create glare or discomfort. Another important consideration is how much flexibility is needed. Anytime outdoor lighting is designed, it should not only take into account how the space is used but how the landscaping may grow or change. Flexible solutions should be pre-planned and incorporated into any designed. 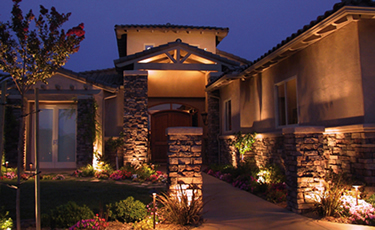 Adding drama to your property, highlighting a unique feature, adding safety or attention with the right size & type of lights takes planning & design. Since 2001 we been providing professional design, installation and repair of most every type of outdoor lighting product on the market today. 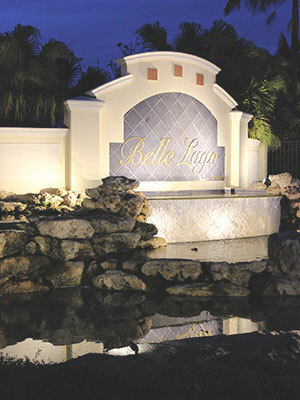 Our expertly trained architectural accent lighting designers have been turning your building’s finest exterior features into an outdoor art exhibit. For a “FREE” Onsite Consultation complete our online request form or for the fastest response call us today @ (239) 491-6759.